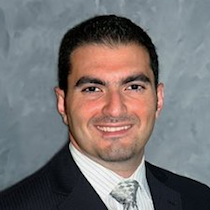 Fadi is a Director of Strategic Sourcing at Salesforce. He manages the global sourcing team for real estate, which includes real estate services, capital projects, workplace services, sustainability, and security services. He focuses on building a passionate team of sourcing professionals and strong alliances with strategic partners that enable lean programs to develop, grow, and operate efficiently at scale, while bringing industry expertise and innovative solutions throughout the process. He isan architect by training and a passionate advocate for sustainability. His team supports the sustainability team in driving healthy material initiatives and a carbon neutral workplace environment, including the institution of best practices for sustainable procurement of goods and services at Salesforce.